Like Goethe, Emerson wanted to be the cultural historian and interpreter of his age--its business, politics, discoveries. The journals and notebooks included in this volume and covering in depth the years 1848 to 1851 reflect Emerson's preoccupations with the events of these often turbulent years in America. On his return to Concord from his successful lecture trip to England and visit to Paris in 1847-1848, Emerson resumed his familiar life of writer, thinker, and lecturer. Impressions of his recent European travels appear in passages in this volume which are used later in English Traits (1856). He writes of technological and scientific discoveries in America and abroad--one of which, the discovery of ether, was to involve his brother-in-law in legal embroilment. He ponders the meaning, for "the age" or "the times," of reports on the Dew textile mills in Lawrence, Massachusetts, of faster steamers daily breaking records, of new geological and paleontological findings, of theories of race, and many other matters that were coming increasingly to the fore in the mid-nineteenth century. Many passages on these topics, used first in lectures, later appear in his essays "Fate," "Wealth," and "Power" in Conduct of Life (1860). He was also adding to his critical biographies for Representative Men (1850), with special attention to Swedenborg, always a source of particular interest for Emerson. 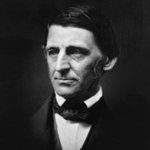 Between 1850 and 1853, Emerson traveled farther west to lecture than he had hitherto ventured--to Pittsburgh, Cincinnati, St. Louis, and many other cities in the midwest. One notebook in the present volume records his customary percipient observations of places and people encountered during these western trips. The tragic drowning of Margaret Fuller Ossoli and her family on her return from Italy in 1850 prompted Emerson to consider a collaboration on her life and writings, and another notebook printed here contains her memorabilia, including original entries by Emerson. Memoirs of Margaret Fuller Ossoli by Emerson, William Henry Charming, and James Freeman Clarke was published in 1852. Passage of the Fugitive Slave Law in 1850 brought to a boil something in Emerson that had long been simmering. Concerned with slavery, freedom, and the future of the black population in America more than his public record had shown, he now delivered himself of an outburst--pained, vitriolic, ironic--a more sustained response to a single issue than appears elsewhere in all his journals. In this latest move in a compounding national tragedy he could see only chicanery and deterioration, the crumbling of America's moral fiber. He saw the Fugitive Slave Law in a larger context of a sick age; like Tennyson and Arnold in England, he lamented in moods of spite and chagrin the loss of faith and of an old world where political men of honor stood firm for the moral law. Most of his journal outburst went into his addresses "The Fugitive Slave Law," 1851 and 1854.